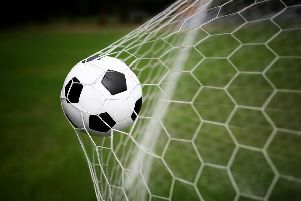 Lavant lost, Nyetimber Pirates drew and East Dean won in the latest round of West Sussex League games. Lavant travelled to fellow Chichester side Hunston in what was the hosts’ first fixture since the tragic death of their manager Stuart Hazelgrove. A minute’s applause preceded the game, one which Hunston were clearly going to be highly motivated for. Hunston pressed Lavant from the first whistle – their game plan was clear, win the football and launch it towards their big, quick centre-forward. Lavant tried to play football with James Sandford and Dan Baker picking the ball up in some good positions but foiled by the tenacity of the Hunston central defenders. On 20 minutes Hunston took a deserved lead as a quality ball into the Lavant area was headed on target and forced a top save from Ash Court, only for the follow-up to be smartly tucked away. It didn’t take long for Lavant to level. Baker broke into the area where he was fouled. Richard Gabb stepped up to convert the penalty. Hunston continued with their direct approach in the second half and this led to their second goal. Lavant over-committed up the field, and one ball cleared the entire back-line and the Hunston No9 ran through and slotted past the hapless Court. Minutes later Lavant were level again as a well-delivered free-kick from the flank was guided in by Matt Lyttle’s head. With Hunston clearly tiring and Lavant in the ascendancy, it looked like there could be only one winner – but the home side dug deep to find the winner. Again it was a set play with the Lavant back line’s starting position too deep, allowing the Hunston hitman to head home from a yard. Lavant: Ash Court, Matt Grace, Richard Gabb, Matt Lyttle, Jon Wright, Charles Mclaren, Matt Stevens, James Sandford, Aaron Hancock, Ash Hawkes, Dan Baker. Subs: Will Cieszynski, Pete Caveney, James Brooks. Pirates dropped their first points of the season in a dull 1-1 draw with TD Shipley. Shipley created the better chances early on but were hit on the counter-attack and found themselves 1-0 down on 30 minutes when Danny Towers’ sublime cross-field ball found Phil Turner, who raced through to slot home. Shipley were reduced to ten men moments later but the red card didn’t affect their spirits and they were quickly back level when they caught the Pirates backline off-guard, their man racing through to prod home. The second half wasn’t much better than the first and neither side created many clear-cut chances. Pirates did start to increase the pressure on battling Shipley with the introduction of Fallick and the returning Andy Cox but it wasn’t the Looters’ day and it finished 1-1. The Pirates still increased their lead at the top to 15 points after Lavant were defeated. Pirates: Pye, Linkhorn, Pasterfield, Hamm, Horn, Angell, Urquhart D Towers, S Towers, Turner, Westbrook. Subs: Palmer, Cox, Fallick, Wilkins. East Dean are really pushing towards the runners-up spot in the table after following up last week’s thrilling 5-4 victory with another win. Thek started slowly and couldn’t create any serious chances to take the lead. Craig Manchip had the first chance but his shot flew over. Eventually Manchip did score, finishing from close range following good play from James Ford. In the second half Ford got on to the scoresheet twice. First he outran the last defender and fired home, then he chipped the goalkeeper from a tight angle from Dave O’Donnell’s through-ball. East Dean had plenty of opportunities to extend their lead but couldn’t take their chances. East Dean: Oram, Ferre, Freeman, Reed, Pett, Haynes, Richards, Skeites, Odonnell, Ford Manchip. Subs; Clark, Gardner, Shewell, Silvester, Bessey.